Named in honor of Friederich Heinrich Theodor Freese, a German Physician and a student of South African plants. Unlike most other flowers, where the white varieties smell most strongly, pink and red varieties have the strongest scent. The ”baby” freesias bloom for up to seven days and come in a wide range of colours including yellows, reds, pinks and whites. 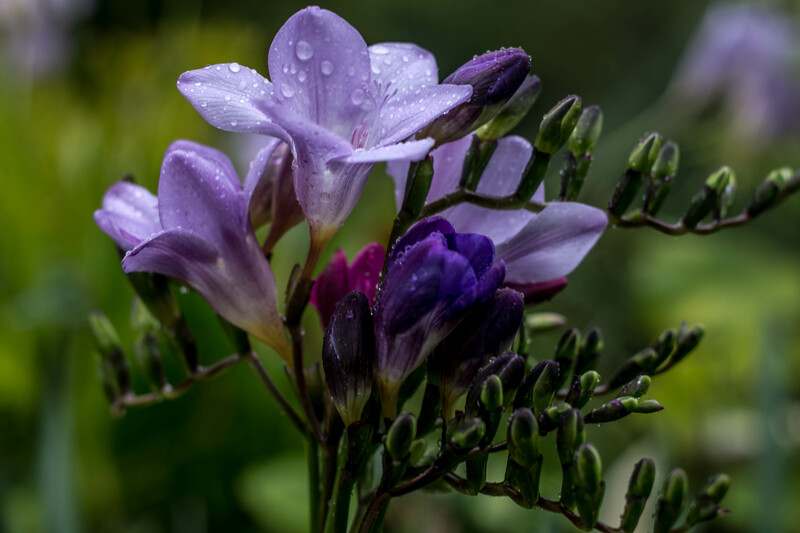 Freesia only flowers when temperatures are below 21C. 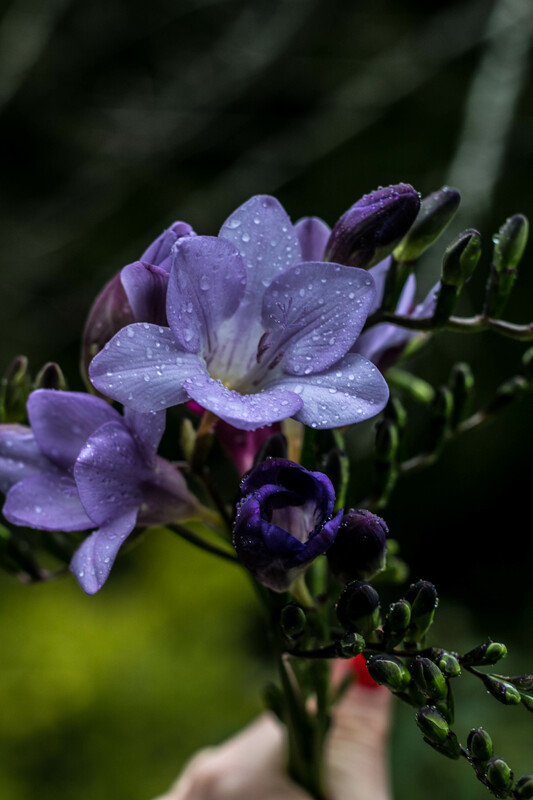 It is through a special method of soil cooling and environmental controls that allow Freesias to be grown practically year-round by the flower farms. Needless to say they are my favourive flowers 🙂 Pictures were taken earlier today after the rain.